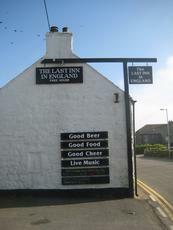 We visited the pub on11th Sept 2012. All I can say is that the food was mediocre at best and the tables were filthy. It looked like they'd had beer mats on them that had stuck to the tables and not been cleaned off. We hardly ate anything as we couldn't wait to get out of there. Sorry if I appearred to offend you firstandlastgirl but I can only point you to the comment posted by Pat Bateman. I have just come back from a visit to Sennen and I still can't get a good feeling from the F&L and believe me I want to. It is simply not a welcoming pub. It should be a winner, great beer, free entertainment on a Saturday night, what's not to like? But there is something about the place that makes it unwelcoming. I can't pinpoint why, nor will it stop me going back when I am in Sennen but I just feel i could be a friendlier place. My wife always references the "Slaughtered Lamb" scene in "An American Werewolf in London" it really does seem that unfriendly. This pub wins the unfriendliest welcome award from me. Young girl behind the bar was the only person serving when we visited around 12:15 on Thursday 13th October 2011. She had dark hair and was either in the early stages of pregnancy, or just a bit podgy. No friendly welcome ... she just looked miserable. Then gave me a foul look because i was photographing a photo on the wall that just happened to look like a guy from my work. No goodbye when we left. We guzzled our one drink as quick as we could and walked. I also noticed that the floor was filthy and covered with salt and hairs. 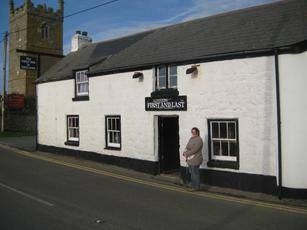 Had a bad experience in this pub on our last trip to Cornwall as well. My meal came with about 5 chips. When I questioned this, I was told that was the normal amount. I had to debate with them, before I was finally given a few more chips. `I can only agree with 'firstandlastgirl', though she is obviously a local girl/landlady; I am a 'tourist' ( like a some stage, we all are ), I always look forward to coming here on my 2x fortnightly breaks to west cornwall. The ales are always top notch and I have never had any problem with the food, always a good selection, and for my tastes, they actually serve 'real' pub grub, which seems to be a harder to find commodity nowadays, good value and good portions. This is a real pub, not gastro, please do not change, if it is not to the tastes of an occassional passer by, well and good, they have the option to stay away. As an avid supporter of B.I.T.E. I have no hesitation of giving the first and last my first ever top rating of 10; Cheers. Think there must be two First & Last Inns in Sennen because the description given by dave061258 bears no resemblance to the pub I drink in. 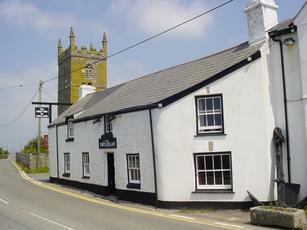 It is a very friendly pub which is happy to share its space with tourists in the summer months. Yes it can be difficult after months of there being no one in there but a few locals, but we all accept that that's how it is. We all go on holiday ourselves you know, so we know how it feels! Locals standing at the bar will always move aside to let others in and will generally engage them in conversation whilst doing so. As for expecting to get served first, that is a load of rubbish and locals will wait patiently to get served along with everyone else. I got the impression from this persons's write up that he was expecting to be blackballed by the locals before he even walked in the place. Well, sorry you had such a bad experience dave but you truly are one in a trillion. Tourists come back to the First & Last Inn year after year and are welcomed back by us "unfriendly" locals. Don't bother coming back dave - you won't be missed with an attitude like yours.